Dealerships and manufacturers of old. I don’t drive a car. This is not news to readers of my site forgotten-ny.com, but national readers always seem to find New Yorkers and their carless ways somewhat ridiculous and the source of a little fun. It’s quite true that I depend on trains and buses to go places (I have yet to use lyft or uber) and that NYC transit has been reliable until the last decade, when the weight of a century-old system that had gone untended to for years began to assert itself and the subways began to fail, so much so that ending 24-hour service, the hallmark of the NYC subways for 113 years now, is now under debate by the MTA agency, city, and state, all of which have a say in running the buses and trains; to use Clyde Frazier’s phrase, paralysis by analysis has been killing the trains. I have long been envious of people who can drive. I attended a driving class in high school, and my cousin gave me a lesson or two in his Gremlin. I imagine the instructors, if they are around, still talk about their experiences with me, and my cousin and I didn’t talk for awhile. I took a driving test the day after a snowstorm, failed after I got the car temporarily stuck in a snowdrift, and never attempted it again. One of the things that held me back is my overwhelming desire to stay alive. I never felt quite in control behind a wheel. Hurtling around in multiple-ton vehicles at sixty miles an hour, with similar vehicles in front of and behind you, never seemed safe to me, but millions do it as second nature. I wish I really had it in me. I am somewhat laconic by nature, and never understood New Yorkers’ need to lean on the car horn if the vehicle in front of them does not move the split second after the light changes. And, while most of my male friends are like me and do not drive, many of the women in my life are excellent drivers, hardly Nervous Nellies. Another reason I do not drive is finances. For decades I have worked in the print business and copy business in nonunionized jobs, with frequent job changes and low pay. I never had the desire to add car payments and insurance to my monthly expenses, and so have always taken public transit to work. I survived years taking the #4 mugger-mover from my overnight job, when I got on the graffiti-scarred trains at 3 AM. No longer young, I imagine driving will not be in my skill set unless I move out to a rural setting, where the most driving I have to do is a couple miles to the nearest general store, if they have them anymore. Cars, nonetheless, are a big part of my life. When I am out roaming with the camera (on foot) I post photos of imagined interest to facebook. Without a doubt, the biggest responses I get are when I post photos of vintage autos. I have also amassed a collection of vintage auto dealerships and factories, some of which I’ll share here. 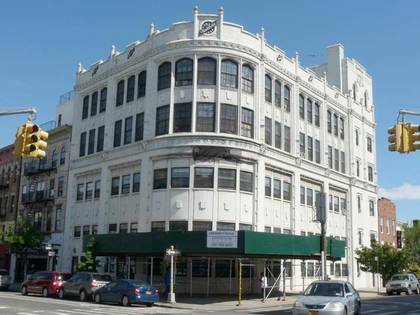 This neo-Gothic masterpiece at 1469 Bedford Avenue at Sterling Place in Crown Heights is the best remaining of the great Studebaker showrooms scattered around town. 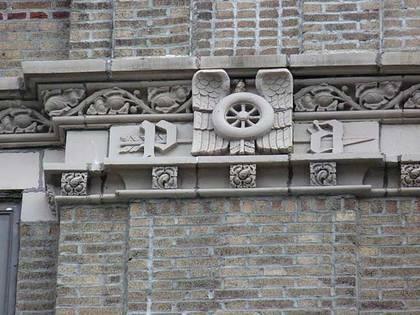 It was built in 1920 by architectural firm Tooker and Marsh and is a remnant of a former “auto showroom row” in Crown Heights. The distinctive Studebaker script logo and wagon wheel logo are prominent on the corner façade. Brothers Henry and Clement Studebaker opened a blacksmith shop in South Bend, Indiana in 1852, and before long, after John Mohler Studebaker bought out his brother Henry, they expanded their business to covered-wagon maufacturing. Studebaker benefited from Civil War business and western expansion, and became the largest wagon business in the world, topping $1 million in sales by 1875, but that was only the beginning. Studebaker made a successful transition to motorized vehicles as the new century dawned, producing its first motorized vehicle, the Electric Runabout, in 1902. As it became clear that gasoline-powered autos were going to emerge, Studebaker’s first gas-powerd vehicle, the Studebaker-Garford, rolled out in 1904. By the time its Bedford-Stuyvesant showroom opened in 1920, Studebaker had sold off its original wagon works to a Louisville, KY firm: it was the only former wagon manufacturer to make a successful transition to automobiles. The 1935 Champion was likely Studebaker’s most successful model in its history, while its production peaked at over 268,000 cars in 1950; Studebaker continued production until 1966. The Studebaker imprint is currently owned by Cooper Industries, the hardware and tools manufacturer that itself has an over 130 year pedigree. West 131st between Broadway and the Viaduct in Manhattanville is dominated by a large former Studebaker distributorship. Before Studebaker occupied the building it was a Borden’s milk processing plant. Studebakers were made in South Bend, Indiana and in Detroit (depending on the year) and were shipped to a number of distributors around the country where they were stored and eventually shipped to individual dealers. The Manhattanville building doubtless included a number of large freight elevators for moving cars from floor to floor and I suspect that the tower housed elevator machinery, maybe in addition to other things. In addition to the car storage areas, the building almost certainly included regional sales offices, an extensive parts warehouse, and dealer/mechanic training facilities. The exterior has been restored in the past two years by Columbia University. The original windows were all replaced by matching new windows. Most of the surrounding buildings have been demolished, as Columbia is expanding into the neighborhood. 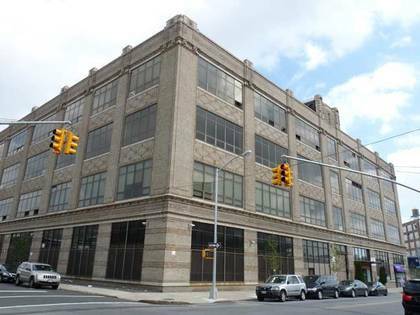 This former Packard showroom at Broadway and Sherman Avenue in Inwood, across the street from Fort Tryon Park, was designed in 1926 by architect Albert Kahn, who designed Packard showrooms across the country and, although he is now little-known, was in his day one of the highest compensated architects in the country. Packard, famed in its early years for luxury autos, was in business from 1899-1954. The company was founded by James Ward Packard, brother William D. Packard, and their business partner George Louis Weiss, in Warren, Ohio. Packard was marketed as luxury brand until World War II, but hoping to gain a greater share of the market, started making more affordable models after the war. Ultimately, it was unable to compete with automotive leaders Ford, Chrysler, and GM. The company merged with Studebaker in 1954—which was also out of business by 1966. 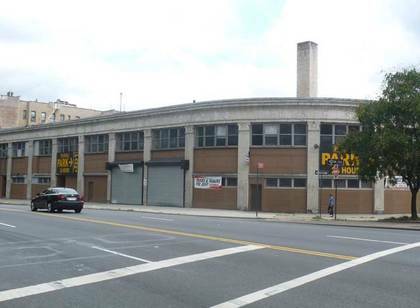 Fittingly enough the Packard showroom in Inwood is now a parking garage and has also served time as a bowling alley. 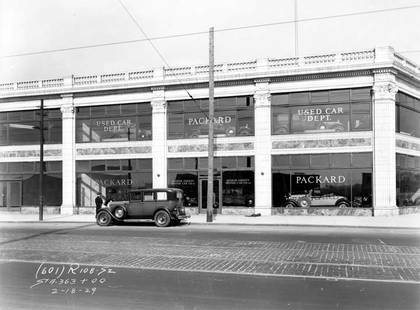 This former Albert Kahn Packard dealership is seen here in a 1929 photograph on Northern Boulevard between 45th and 46th Streets. As you can see it had two floors full of large open-paned picture windows. Both used and new Packards were sold here. This stretch of Northern Boulevard in southern Long Island City is still an auto dealership row, but most distribute used cars, including MajorWorld with its trademark earsplitting radio commercials. This building still stands, its terra cotta detailing is largely intact. The upper floors now feature opaque glass block windows, while the ground floor hosts a number of businesses, including a mattress vendor. Pierce-Arrow, based in Buffalo from 1903 to 1938, evolved from a luxury birdcage manufacturer established in 1865, Heinz, Pierce & Munschauer. Henry N. Pierce bought out his two partners and began building and retailing bicycles and motorcycles in 1896, with the leap to automobiles in 1901. The company’s first success, a two-cylinder auto, named the Arrow, appeared in 1903. The company’s first commercial success, the four-cylinder Great Arrow, arrived in 1904. Though George Pierce sold all his company rights in 1907 and passed away in 1910, the company was known as Pierce-Arrow from 1908 to 1938. Pierce-Arrow became known for its luxury autos, as film stars and heads of state made sure to have at least one Pierce in their collection (William H. Taft made the Arrow the first official car associated with the White House). Later, however, since Pierce-Arrow didn’t have a moderate-priced line, the company suffered during the Depression and closed its Buffalo factory, which has since been declared a landmark, in 1938. 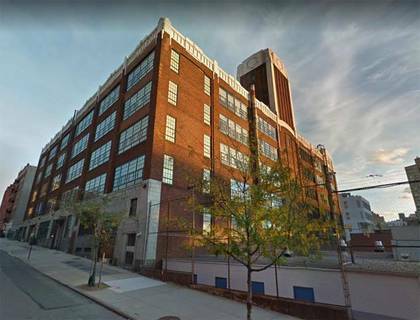 After Pierce-Arrow folded, the building was home to a TV and radio manufacturer and has long served as a home for warehouses, light manufacturing, and artist spaces. To me, the company ID treatments on the exterior pilasters, or half columns, are the most fascinating. These are rendered in terra cotta with the winged-wheel motif that was also popular on humble garages and auto-repair shops of the time. The letters P and A, in Old english blackletter, are connected by a stylized arrow. The building has a couple of variations on this theme.